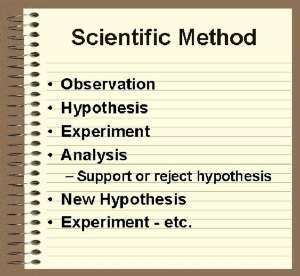 We all remember the 5-6 steps of the scientific method: observation, hypothesis, experiment, analysis, alter hypothesis, experiment, and on and on. And while science does involve testing hypotheses, it is so much more. The process of science is much more than just memorizing those five or six steps. First it might help to get the bigger picture of what science is and what is is not. Science is not a collection of facts. It is not boring, nor purely analytical. Science is not done by solitary middle aged men in laboratories. It is not absolute and unchanging, nor can it prove or disprove ideas. Science does not contradict the existence of God. The goal of science is to explain the natural world around us. Every parent of a toddler or elementary school age child knows that the desire to make sense of the world around us is innate. Ever hear questions like: “what’s that?”, “why is the sky blue?”, or “what make a marshmallow so puffy?”? This is where true science begins. Sure science involves exploration and discovery, but the process of science is nonlinear, unpredictable, and ongoing. It’s critical thinking, problem-solving at it’s best, or it should be. The study of science and the process of understanding the natural world around us known as the scientific method is better labeled as “active learning” IMHO. So what can you do? Make sure the science that you “do” with your children, their activities and assignments, are designed so that they need to think their way through them. As your child explores new topics in science make sure they have opportunities to observe, hypothesize, contemplate, generalize, create, test, and evaluate their ideas. Help them to identify and solve problems or questions they come up with as they study science. Then you’ll be using the scientific method. So, the next time you’re asked what makes a marshmallow so puffy, go to the Popular Science website, http://www.popsci.com/diy/article/2008-11/anatomy-marshmallow and learn how to make some marshmallows with your child! At Aim Academy, our science classes use active learning strategies designed to aid students in gaining genuine knowledge and understanding of science concepts. Adler, M.J. 1987. “Critical thinking” programs: Why they won’t work. The Education Digest 52(7): 9-11.